Culture matters to the extent that individuals from different cultures appreciate different values. But, how do we deal in situations at work if such values are conflicting? on customs and how common it is for peoples to possess contrasting ideals. He observed that one people’s death rites are disgraceful or even disgusting to others. Yet, organizations run on individualistic ideals! 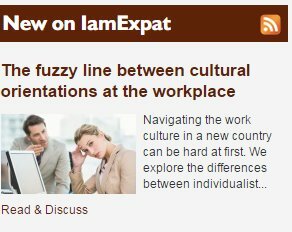 How then, can collectivistically inspired expats meet their’s behavioral norms? This is hard to find out, as enjoyment in life and behavior rooted in individualism can contrast that rooted in collectivism in hidden ways. A Dutch staff member at the University of Amsterdam hosted a dinner to celebrate an important promotion. In a pleasant restaurant with an idyllic view about a hundred guests of various cultural backgrounds were seated at four long tables. A colleague handed out to every other guest a note with a letter-number combination, and was told to keep it. They would hear why later on! The first courses and drinks arrived and a delightful atmosphere developed among a party of two Dutch, an Italian, a Greek, a Japanese, an Indonesian and a German when an announcement was made: Those holding notes were called on to change seats by moving to a specific other table. – Don’t do that to me. – Not that stuff again!! They didn’t bother moving and their comments suggest a deliberate choice. Neither did the Asians. The German had to leave the party anyway, and the Dutch… just moved. Their empty seats were filled by Dutch and English replacements. Obviously, some just enjoy the arisen familiarity, while others enjoy initiating new contacts, maybe even praising the organizers for facilitating it. This difference in behavior may seem subtle, but is well-established in cross-cultural psychology studies. Another example, is the study of researchers who compared the attitude of patients in a doctor’s waiting room in Jakarta (Indonesia) and Sidney (Australia), by asking them: “Would you initiate a conversation with a stranger in the waiting room?” Of the Indonesians 62% said ‘No’, compared to only 43% of the Australians2. The latter are obviously more open and feel more at home in initiating new networks. WEIRD cultures encourage individuals to become independent from others, undertake initiatives and speak up their minds. Mothers or teachers do not pass up the opportunity to praise the relevant behavior with the typical: ‘I am so proud of you’!! Instead, self-modesty and respect for parents or teachers are encouraged in less-WEIRD societies. Research showed that, whereas, 7-years old Spanish children did not understand the word ’pride’ in the Netherlands, their counterparts reported experiencing pride3 as much as adults did . ‘No, I don’t agree with you’ (the Netherlands). Although, either encouragement can motivate high performance—Asians score the highest world-wide— it is, however, apparent that WEIRD cultures advance the type of behavior required (e.g. undertaking initiatives) in organizational settings. Consider the following behavior witnessed at a national conference in Southern Europe: A participant posed a question to a PhD candidate speaker who seemed uncertain of the right answer. Her supervisor instantly interfered, announced his professorial status, explained paternalistically that ‘she is just a PhD student’ and gave an answer himself. Afterwards, in the break, the student kept a ‘discrete’ distance while the ‘professors’ continued the discussion. In a comparable situation for example in the Netherlands such an intervention is highly unlikely. Students are rather expected to display independent and critical thinking and be able of posing questions that will advance their field. Feeling personal accomplishment by doing challenging work is thus a feeling privileged in WEIRD societies as, originally, demonstrated by Hofstede. ‘… institutions that are individualistically inspired exclude those that are collectivistically inspired’. To re-regulate your behavior to fit that required in modern organizations may be difficult but not impossible. The more conflicting the orientations apply, e.g. respect-minded versus speaking up your mind, the harder the negotiations inside you. Yet, self-presentation developments can take place unconsciously. To a great extent they depend on one’s personality: The more open you are to new behavior, your mind capture by actively living in Netherlands, the more effortlessly you become bi(multi)cultural: capable of producing context-appropriate responses. 2. Noesjirwan, Jennifer. “Contrasting cultural patterns of interpersonal closeness in doctors’ waiting rooms in Sydney and Jakarta.” Journal of Cross-Cultural Psychology 8.3 (1977): 357-368. 3.Mosquera, Patricia M. Rodriguez, Antony SR Manstead, and Agneta H. Fischer. “The role of honor-related values in the elicitation, experience, and communication of pride, shame, and anger: Spain and the Netherlands compared.” Personality and Social Psychology Bulletin 26.7 (2000): 833-844. Visit and read the interesting discussion from professional with culture-related experience around the world!! Do you do your best at school because you yourself want it or your mom wants it?